Simply replacing a screen door, however, isn’t enough. If you pick the wrong one, you’ll find yourself shopping for a new one in another few years. You need a sturdy screen door that’s built to withstand daily wear and tear, lasting far longer than just a few years. What many homeowners don’t understand, though, is that weak hardware can cause their screen doors to fall apart quickly. Because many people don’t know the importance of quality screen door hardware, they find themselves replacing screen doors more often than they’d like. 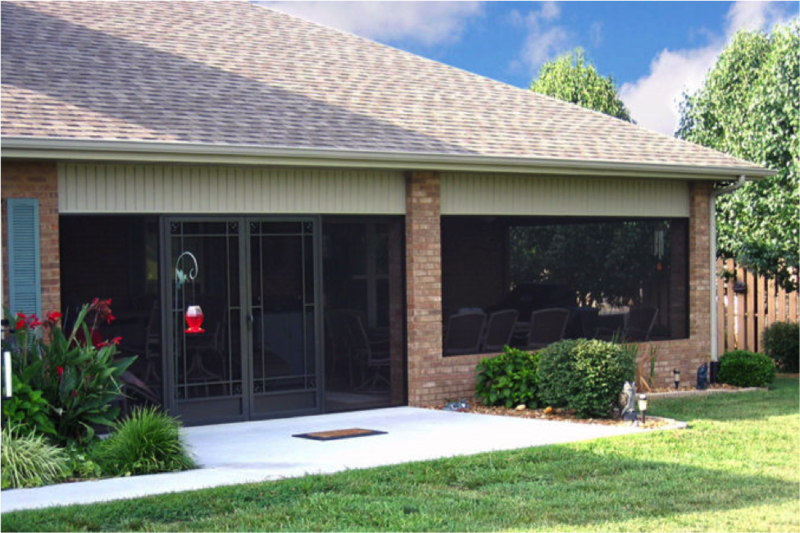 PCA Products Aluminum Screen Doors are equipped with high-quality components that will last for years to come. Here’s a few reasons why they’re much better than your average screen door. Because you open and close them so often, screen door hinges don’t last as long as you’d like. After all, they can only take so much abuse. Poorly constructed hinges will fall apart even faster. PCA Products Aluminum Screen Doors feature a solid piano hinge that runs the full length of the door frame, making it durable enough to withstand all of the opening and closing you do. Nothing is worse than a screen door that makes a horrific crashing noise overtime it closes. The reason this happens, though, is that most screen doors have aluminum bars along the top of their frames. PCA Products Aluminum Screen Door, on the other hand, feature wooden z-bars specifically designed to reduce noise. Instead of slamming up against your door frame, these screen doors close gently and quietly. Aside from hinges, your screen door’s handle is the most susceptible to damage. It is often grabbed, twisted and used haphazardly as you and your children enter the house. For that reason, you need a screen door handle that will last. The handles on PCA Products Aluminum Screen Doors are both heavy-duty and rust-resistant, ensuring that yours will last as long as you need them to. With a number of in-swinging, locking and ergonomic options, PCA products has a screen door handle to suit your needs. The closer tube, which is the cylindrical metal part at the top, makes your door close automatically on its own. When it becomes unhinged, your door will flap around in the wind on its own. Anyone who has a screen door that is constantly open understands the frustration of a broken closer tube. Luckily, PCA Products Aluminum Screen Doors are equipped with a stainless steel bracket that won’t unfasten on you, guaranteeing that your door stays in strong working condition. If you were to buy French screen doors, you’d usually need to buy an extra post that runs down the middle of both halves. It costs more money and divides your doorway in two. PCA Products, however, offers a French Door Astragal Kit that enables you to buy French doors without the added expense or inconvenience. With PCA Products French doors, you can have a beautiful doorway without limiting the size of objects that can move through it.